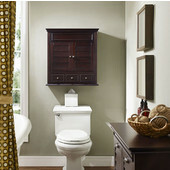 Medicine cabinets without mirrors offer convenient storage for all your necessary bathroom items. 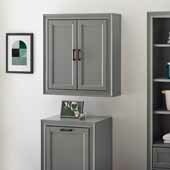 Equipped with wood, louvered or glass doors, these medicine cabinets are available in a range of designs to coordinate with any décor. 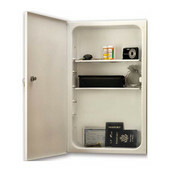 Open shelves combined with cabinet doors provide room to display decorative items or to store frequently used toiletries. 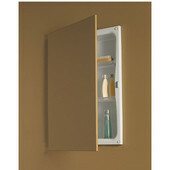 Cabinet doors open out to reveal fixed or adjustable shelves to accommodate items that differ in size. 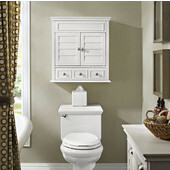 Choose a recess mount or surface mount medicine cabinet to suit your particular bathroom environment. 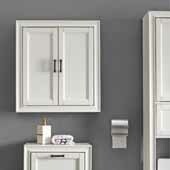 KitchenSource.com features medicine cabinets without mirrors in classic or contemporary styles and in a variety of finishes, so you will find exactly what you need to match your bathroom décor.